Today is: Friday, April 26th, 2019. Welcome to my website. My name is Carol, the webmaster of this site. This site was created using HTML, CSS, PHP & MySQL. This website is XHTML 1.0 and CSS 3 validated. Welcome to my online resume. Please feel free to look around. Acquire a position in a stable organization where my skills, knowledge, and contributions are the basis for opportunities of advancement. Active DoD secret clearance. Systems Engineer with over 25 years’ experience in supervisory, full system life cycle, enterprise architecture, designing and developing PC simulation software, applications, and web sites using several scripting and programming languages. I completed my MS degree in Software Engineering Management with a GPA of 3.917. My skills include process improvement, project management, writing/maintaining technical documentation and user manuals, coding, establishing priorities, meeting strict deadlines, requirements management, and test engineering. Develop, maintain, and validate DoDAF architectures for JPEO-CBD initiatives, programs, and the Enterprise. Spoke to and recruited students in middle schools for enrollment in programs non-traditional to their gender. Mentored students who enrolled in programs non-traditional to their gender. Presided at all meetings of VICA local chapter in accordance with accepted parliamentary procedure. Was chairman of the Executive Council. Carried out such other duties vested in the presidency by the organization. Appointed committees and served as ex-officio member of them. Coordinated chapter activities and maintained contact with district officers. Represented the VICA local chapter officially in school-community relations. Cooperate with the State VICA Director in the collection of all State dues and assessment and will keep accurate records thereof. Was a member of the budget committee. Counter-signed with the State VICA Director all checks disbursed in the name of the Virginia VICA Association. Cooperated with the secretary by keeping an accurate membership roll. Prepared adequate financial statements and reports. Kept records of all regular meetings. Had available for the president the agenda for all meetings. Wrote the communications authorized by the president. Counted and recorded the rising votes of the delegates or committee members. Cooperated with the treasurer by keeping an accurate membership roll. Had available for each meeting the following: Record and minutes of previous meetings; List of all committees; A copy of the Virginia VICA, Inc. Constitution and By-Laws; A copy of the Official Guide for VICA. I am 51 and mother to four wonderful children - ages 21, 20, 18 &107. I graduated with my MASTERS degree in Software Engineering Management and a 3.917 GPA. My heritage is Cherokee Indian, English, Irish, German, Norwegian and French. (Wouldn't that make me a Cheroglish Irigerwegianench?). I am 5'2" with red hair and green eyes. I am left handed and love playing the flute, drawing, writing, computer programming, and web design. My favorite foods are sushi, pasta, seafood, and steak. An interesting fact about me: I have flown a plane!! It was one of those two person types, and my friend showed me how it was done, and I did it! When I lived in Ocala, I flew from Ocala to Gainesville, then down to Orlando, and back to Ocala. Of course, he landed the plane, but it was the most awesomest (is that a word?) experience EVER! Another interesting fact: On July 19, 2007, I was struck by lightening. I stopped by Walmart on my way home from work for some groceries. When I went in, it was a bit cloudy. When I came out, the skies were very dark and it was starting to rain. I put up the umbrella and started rolling the basket to the van. When I was a few feet from the van, the lightening hit the umbrella!! It came down the shaft of the umbrella and was circling around my hand and wrist. It basically looked like a spiraling blue and white spark that lasted for maybe 10-15 seconds. I was so awestruck by what was happening that I just froze while watching. I didn't realize what actually happened until it stopped. By the time I figured out what happened, I freaked out, and hurriedly threw the groceries into the van and left. That night, I had things I needed to do for work, and was going to work at home. I mentioned to my boss what happened, and he insisted I go to the emergency room. At that time, I felt fine. Mom agree'd with him and wouldn't let up about it, so I went to the emergency room. They x-ray'd my hand and arm and said that nothing was broken. They said I was VERY lucky. So, I went back home, and started working on my stuff. Well, don't you know within a few hours, I was in PAIN!!! My arm felt like someone squashed it in a vice grip, and my head felt like it was about to explode. Worst headache I ever had. Worse than any migraine I've ever experienced, not that I've had many, but have on occasion. Buddy Rich - One of the greatest jazz drummers of all time. 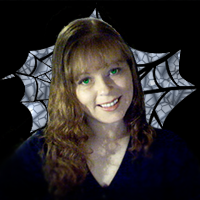 Carol is a very detail oriented instructional designer and systems analyst. She is one of the most responsible and reliable individuals I had the chance to supervise. Fast learner and capable of performing multiple roles with accuracy, detail, and requires very little guidance. She will be a great asset to any company she works for. Carol is a highly productive worker with a diversified set of skills that have proven to be very beneficial to the team. I have had the pleasure of working with Carol as her Lead from 2011 through 2014. I am impressed with Carol’s organizational, technical, and instructional design skills. When Carol joined the team, she quickly became knowledgeable of complex systems and took ownership of the products for which she was responsible for delivering. Carol contributed many creative and effective solutions to process and project challenges which contributed to the success of our projects. I highly recommend her. Carol has grown in the years that I've known her to move beyond simple coding assignments to a full-fledged systems analyst. She understands the concepts of assimilating complex systems into requirements and turning those requirements into designs and other artifacts to help a software simulation team get on their feet and get to implementation. I am impressed with Carol's friendly and helpful demeanor, her dedication to get her job done, and her willingness and curiosity to ask questions. In short, I would recommend Carol to any organization looking for help in the systems analyst/systems engineering realm--she is a valuable team asset. I have worked with Carol for over 2 years and find her attention to detail, in turn provides high quality products. She has taught me Systems Analysis in respect to PC Simulation development and also has excelled in Instructional Systems Design at Carley. Carol is a hard-working, dedicated individual who is able to learn quickly and adapt easily to any situation. While working with Carol, I personally witnessed many times where she would take initiative and solve a task by thinking outside the box. Carol is an asset to any team or company. Daniel Friedman - 10/5/2009 - www.naymz.com - Carol was a great member of my operations team at Channel Intelligence. She constantly displayed hard work, dedication, enthusiam, and creative thinking in all her endeavors. She also took the lead on several occasions and helped navigate difficult circumstances and create unique solutions. I highly recommend Carol to anyone looking for an asset to their team. Charles Neal - 8/11/2008 - Facebook - Carol, what a fantastic website. Already I can see it is so expressive of you, who you are, and what you believe--done very creatively, with great sensitivity and candor while expressing your own lovely and profound beliefs that I have already seen surfacing on Facebook. Congratulations. Here's the latest update to "Project Peanut". I have surprisingly kept up quite well with this project. I originally thought I'd slack off after a couple of months, but I haven't! Yay me!!!! I wish I started this when my other children were born. Then I'd have expenses all the way through age 13. That's okay, this will take many years to accomplish, and I just hope I can keep it up. 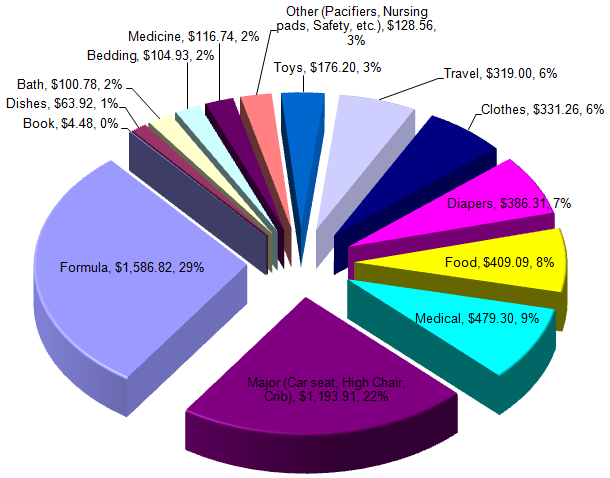 Final formula totals accounted for $1,586.82, and the on-going diaper total is $386.31. What will interesting is when Joey starts eating table food. I'll try to (as much as possible) account for his portion, but that will be a little difficult. He's still mostly eating toddler food. Another thing to mention that shouldn't be forgotten, is Joey's portion of water, utilities, bed space, gasoline for baby related trips, etc. Obviously, with a baby, those things go up a little because of bath's, bottles, washing clothes, batteries for toys and his swing, and everything else. However, at this time, I don't think it's worth it to try to figure out that stuff.